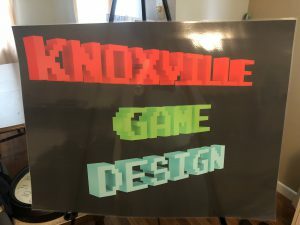 Knoxville Game Design invites you to attend the online meeting and show recording for Sunday November 11, 2018 at 2pm Eastern Time. This month’s topic is GameMaker Tips. This will be an open discussion on everything GameMaker related. We will also show off the two games made in Knoxville for GM48. Any questions on the topic or game development in general are welcome. We will also have time for “show and tell” for anyone who wants to share any game projects that they have been developing. This month’s topic is Artificial Intelligence (AI). Levi D. Smith covers various topics in the AI field such as identifying and evaluating alternatives, data structures and algorithms for decision making, computation time, conditioning, and expert systems. These topics are presented with a focus on how they can be applied to game design. Knoxville Game Design invites you to attend the online meeting and show recording for Sunday October 14, 2018 at 2pm Eastern Time. This month’s topic is Artificial Intelligence (AI). Levi D. Smith will cover various topics in the AI field such as identifying and evaluating alternatives, data structures and algorithms for decision making, computation time, conditioning, and expert systems. These topics will be presented with a focus on how they can be applied to game design. We take a look back at our booth at the Knoxville gaming convention. 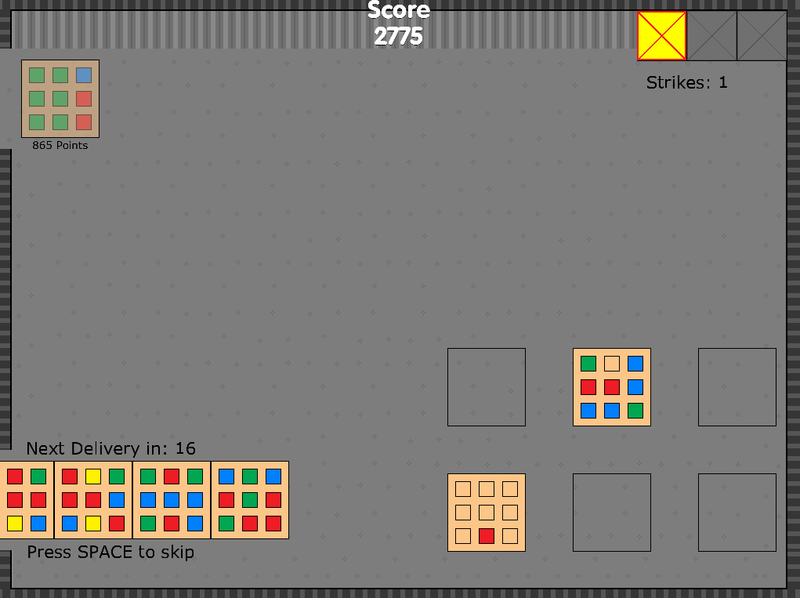 We also go over our Ludum Dare 42 entries. Knoxville Game Design had three great entries for Ludum Dare 42! The theme for this game jam was “Running out of Space”. Your goal is to receive and sort mixed pallets of different colored boxes to match the outgoing orders. You have a limited amount of space to organize, and the only way to make more space is to finish the pallet configurations and get them out the door. The faster you can finish each one the more points you get. If there is no space to receive the next incoming shipment when it arrives you get a strike – 3 strikes and it’s game over. 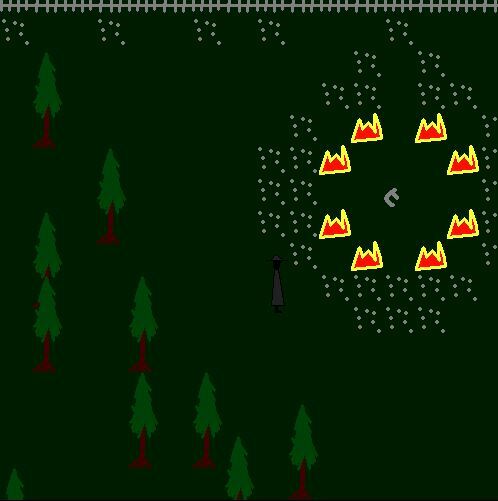 In FIRE, you must escape a burning Forrest by collecting three parts of a broken key. You must piece them together and escape through the front gate. WASD to move, touch keys to collect. 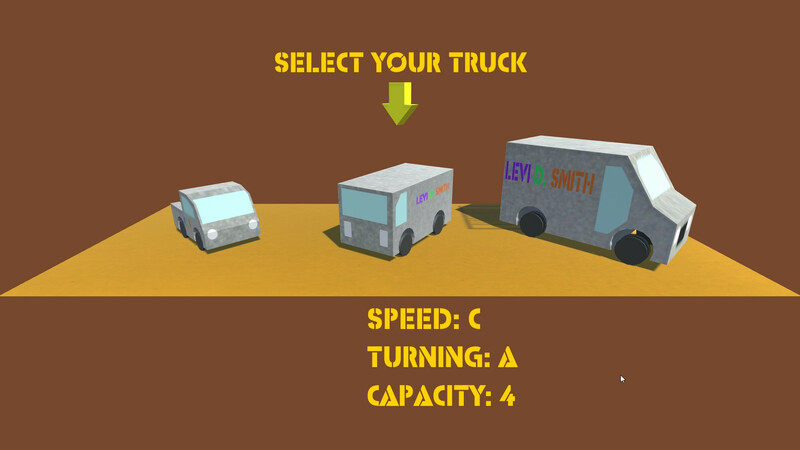 Choose your truck and deliver the packages to the buildings. Each truck has different speed, turning, and package capacity. Can you deliver all of the packages before time runs out? Knoxville Game Design invites you to attend the online meeting and show recording for Sunday September 9, 2018 at 2pm Eastern Time. This month will be a recap and lessons learned from running the booth at the Knoxville Gaming Convention at CreepyCon last month. We will also cover the games that were created by East Tennessee developers for Ludum Dare 42. The monthly meeting for August 2018 was held at Token Game Tavern in Knoxville, Tennessee. We give our thoughts on the Ludum Dare theme announcement. Also highlights from Retro Game Night at McKay Books was included. Members of Knoxville Game Design will be at the Knoxville Gaming Convention this Friday and Saturday! Stop by and check out some of the games created by local developers! The Knoxville Gaming Convention is a part of CreepyCon, so a ticket will get you into both events.